Russia has warned that any U.S. missiles fired at Syria over a suspected chemical weapons attack on a rebel enclave would be shot down and the launch sites targeted, raising the possibility of a U.S.-Russian confrontation. Issuing the warning, the Russian ambassador to Lebanon also said such a clash should be avoided and Moscow was ready for negotiations. His remarks could raise fears of direct conflict for the first time between major powers backing opposing sides in Syria’s protracted civil war. Washington and its allies considered whether to strike at Syrian government forces over the alleged poison gas assault. Syrian relief workers said 60 people were killed in Saturday’s suspected chemical weapons attack on the town of Douma. An estimated 500 people were being treated for “symptoms consistent with exposure to toxic chemicals”, the WHO said on Wednesday. The Syrian government and Russia say the reports are bogus. The Kremlin said on Wednesday it hoped all sides involved in Syria would avoid doing anything that could destabilise an already fragile situation in the Middle East, and made clear it strongly opposed any U.S. strike on its ally. After the attack, the rebel group holed up in Douma – Jaish al-Islam – finally agreed to withdraw from the town. That sealed a big victory for President Bashar al-Assad, who has now crushed the rebellion in the eastern Ghouta region near Damascus. On the diplomatic front, Moscow and Washington stymied attempts by each other in the UN Security Council onTuesday to set up international investigations into chemical weapons attacks in Syria. U.S. President Donald Trump on Tuesday canceled a planned trip to Latin America on Friday to focus instead on talks with Western allies about possible military action to punish Assad for the suspected gas attack on a rebel-held town that had long withstood a devastating Syrian government siege. Trump had on Monday warned of a quick, forceful response once responsibility for the attack was established. 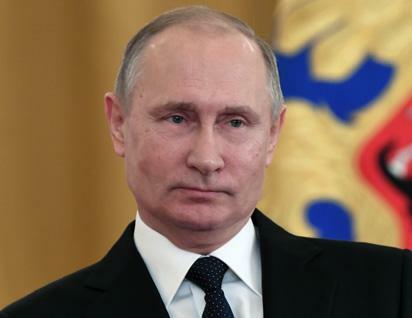 The post Russia warns any U.S. missiles fired at Syria will be shot down appeared first on Vanguard News.